Lots of things mark the beginning of fall—the first day of school, the first morning cold enough to wear a sweater, a pumpkin on every porch—but has autumn really come until you’ve visited a local orchard and picked some apples? 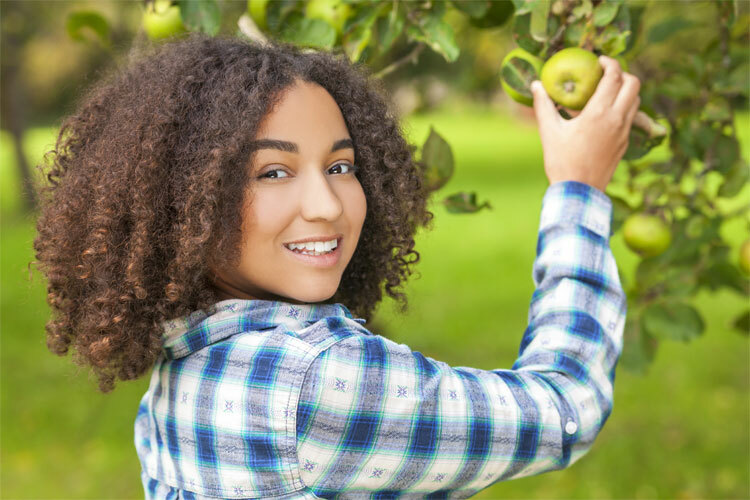 Whether you’re looking to escape the city for a blissfully bucolic afternoon, or just want to spice things up in the suburbs, the best apple picking orchards of the Keystone State are ready and waiting to usher in the autumn and help you make lasting memories! Owner Brian Smith opened Solebury Orchards in 1984, and has spent the years since creating a picturesque spot that produces some of the best produce in state. If you love apples, there are few better ways to greet the autumn than with a pick-your-own trip to this New Hope location. Whether you’re a first timer, or have picked apples your whole life, Solebury Orchards is a family-friendly way to get your fill of delicious local apples. A trip to Weaver’s Orchard is a phenomenal way to spend some time outdoors and reconnect with the natural world. Delicious apple varieties include Ginger Gold, Gala, Granny Smith, Macoun, and many more! Choose from among 25 varieties of apples at Paulus Orchards, each more delicious than the last! This Dillsburg location has long been a local favorite, for both quality of produce and sheer, family fun. Their Paulus Playland area boasts more than 20 kid-friendly activities, making it the perfect place to create lasting memories. Opened in 1948 as a simple roadside produce stand, Brown’s Orchards has experienced some impressive growth in the years since. While the market is located in Loganville, pick-your-own enthusiasts can find opportunity just down the road at their Yellow Church Road Farm in Seven Valleys. Convenient to Pittsburgh, Norman’s Orchard is a great opportunity to bust out of the ‘Burgh and return to nature, even if just for an afternoon. Find extensive varieties of both heirloom and familiar apples at this Tarentum location. Family owned and operated, a visit to Rocky Ridge Orchards is an opportunity to step back to a simpler way of life, when a day spent in a field was the height of childhood excitement, and a fresh picked apple was the most delicious feast imaginable. Styer Orchard likes to say that their garden is your garden, and you’ll be very pleased once you spy just how abundant that garden is! Visit for several varieties of apples and some truly lovely surroundings. The Strite family has been providing quality produce to the Harrisburg area for more than 100 years, and shows no signs of slowing soon. Show the kids a taste of local agricultural history with the incredible display of the Orchard’s history in their store! To truly experience a farm, it’s tough to beat a trip to Highland Orchards. With apple picking, hayrides, and even an opportunity to interact with animals, this West Chester location is a great way to spend a day, and take plenty of fabulous pictures! Family owned and operated since 1919, Heller Orchards is a solid choice for both quality apples and customer service. Generations deep in local fans, this Wapwallopen location is worth checking out, even if it means a bit of a drive.